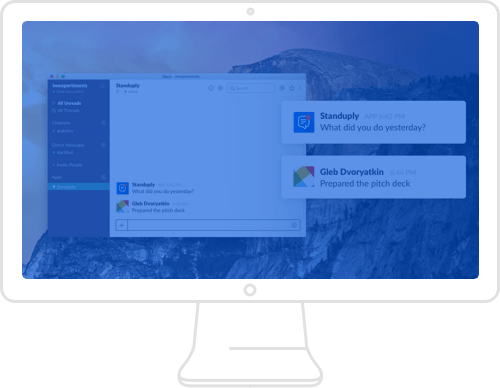 Using Slack for standup meetings saves time and provides flexibility. 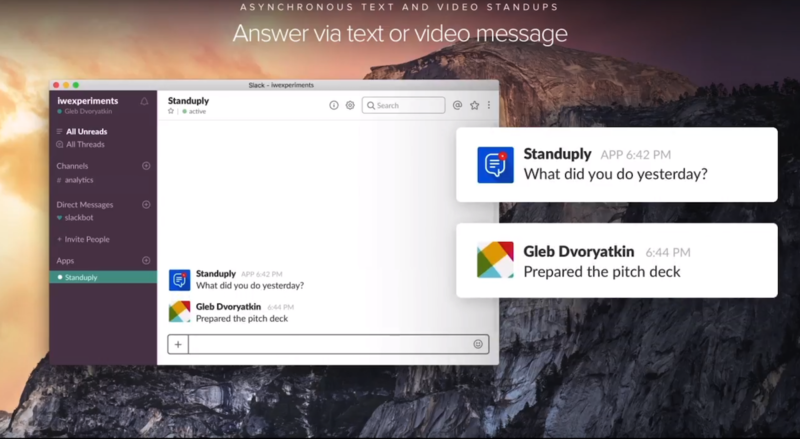 With Standuply Slack app you can run asynchronous virtual meetings or gather stand up agenda before daily scrum*. Pick a schedule to run online daily meetings with your team. It can be tied to any time zone or to each team member's local time. You select participants and customize questions. Additional options: reminders, asynchronous delivery, threads support. On schedule, Standuply runs agile standups by reaching out to selected people in Slack and asking them questions you set up. Once team members provide their answers, the bot collects them and prepares project status report for your team. Results can be delivered to a Slack channel or via DM, email or Webhook. Team answers are served as separate messages or packed in a thread. 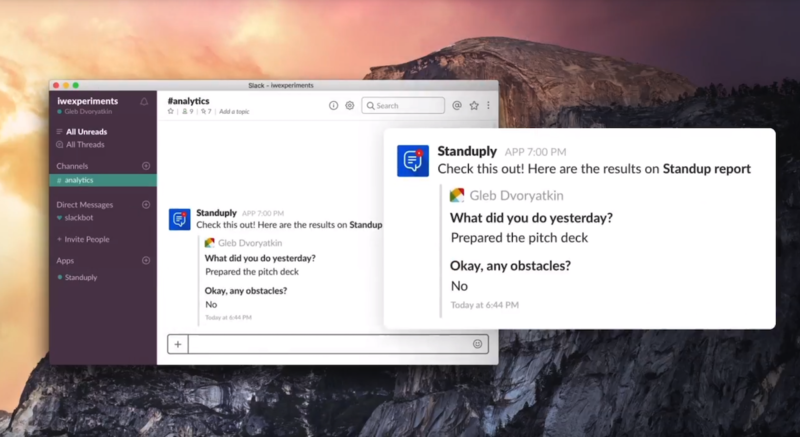 Standuply brings you automated reporting in Slack. Product Backlog is prioritized list of all tasks that can be implemented to improve the product. It is never finished and exists until the Product development is in progress. Product Backlog is regularly updated and evolves with the product. It's a Product Owner who is responsible for keeping the Product Backlog up to date. Product Backlog contains all the features, requirements, improvements and bugs. Each of those items gets a description and evaluation. In case several teams are working on the same product, they should have and stick to the only Product Backlog.